Deakin had one point deducted in the 3rd round for holding and use of the head. Deakin down in the 1st round and again in the 3rd. Taylor down in the 2nd round. Deakin deducted one point in the 4th round. Whyatt cut above the left eye (head clash). 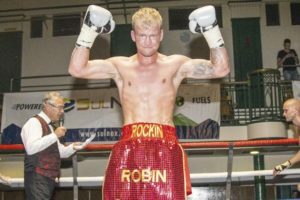 Deakin given a count in the 2nd round. Deakin down twice in the 3rd round. Pro debut for Hussein, the son of former Commonwealth champion Mo Hussein. Day cut above the left eye in a 2nd round head clash. Deakin given a count after touching down late in the 3rd round. Deakin down in the 2nd round.